Summary: Just about the easiest walk in Lakeland if you start it from the car park at the top of Applethwaite Lane. After a tough day on saturated fells the day before this was the perfect medicine. 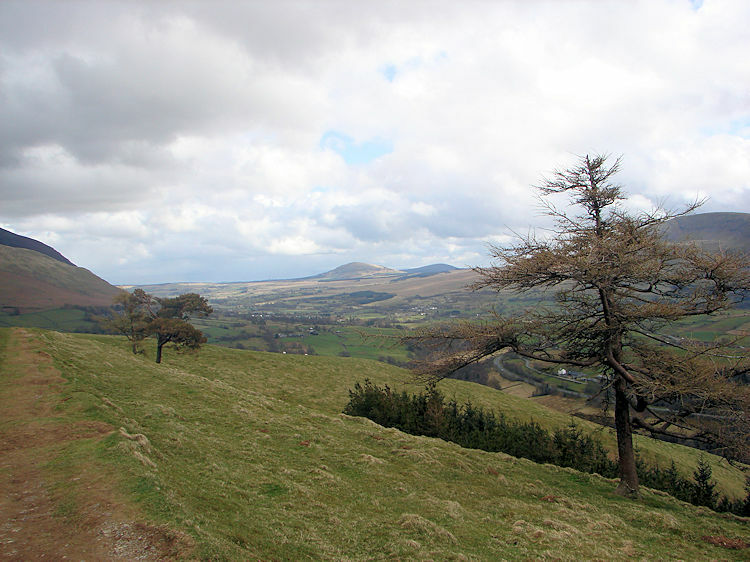 The walk around the top of Latrigg gives great views of Keswick and awesome views of Skiddaw. A walk for everyone, young, old and there is even an easy access path for the less mobile. This is one for the kids, one for the elderly, even one for the wheelchair because to their credit the National Park Authority have laid out a low mobility path to the summit point of Latrigg which allows all to access the lovely viewpoint that looks right over Keswick and Derwent Water. OK, the low mobility visitors will have to return by the same path but I still recommend they all do it. The view is worth it. I did the walk on a last morning in the Lake District before returning to North Yorkshire. It was very short but I enjoyed it. 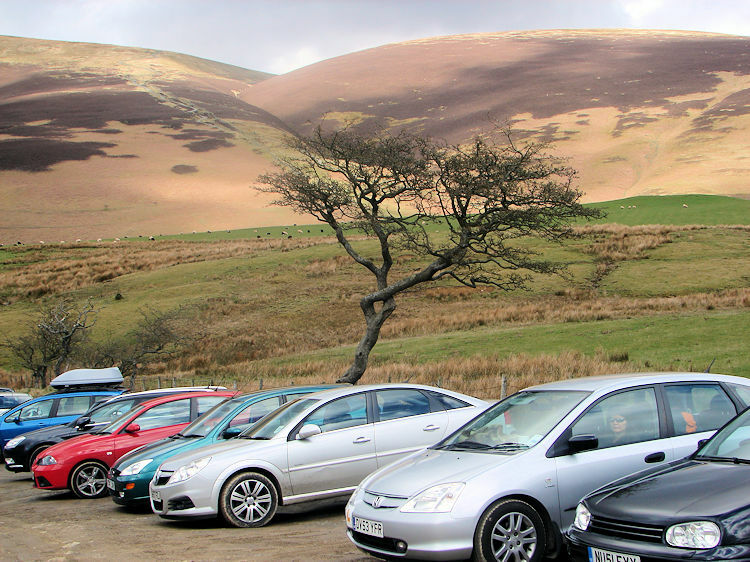 The start is at the car parking area on the Skiddaw access road above Applethwaite. Get here early if you want to be sure of a parking place, it gets busy and especially on a good day. Through a couple of stile gates from the car park and the path is laid out in front of you, clearly marked. 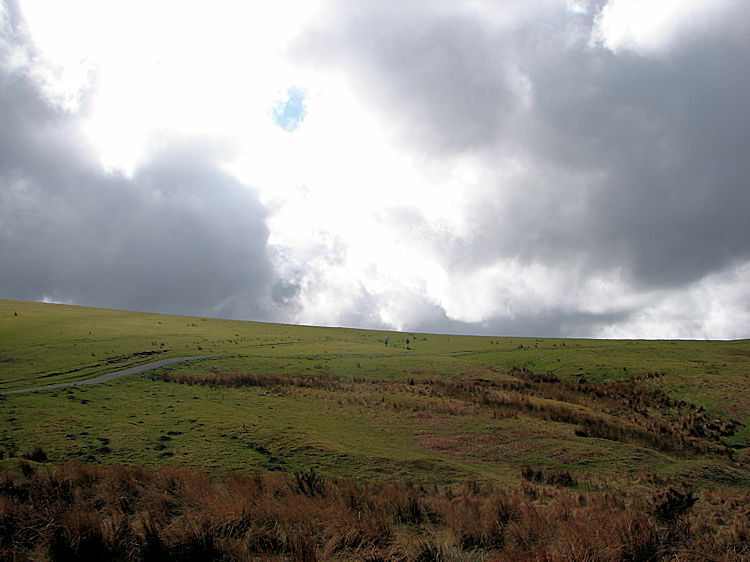 Simply follow it round the high circular of west facing Latrigg to reach the south facing viewpoint. Now stop and dwell with the views all encompassing before returning whence you came or like me by following the track north east to a wood and then north west back to the car park. 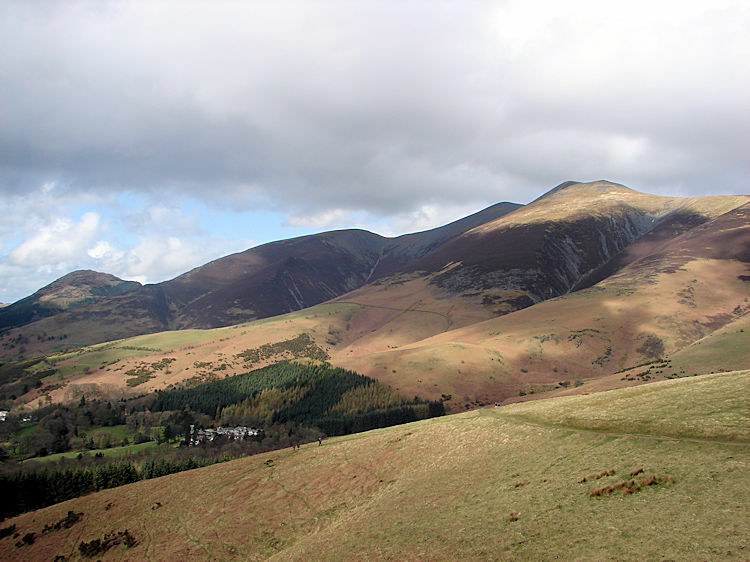 All round the walk the views are of the surrounding fells are great, especially the ones of the Skiddaw Range with a perfect view of the broad path leading up to Skiddaw mountain. It made me feel like climbing it there and then but I did not have the time. 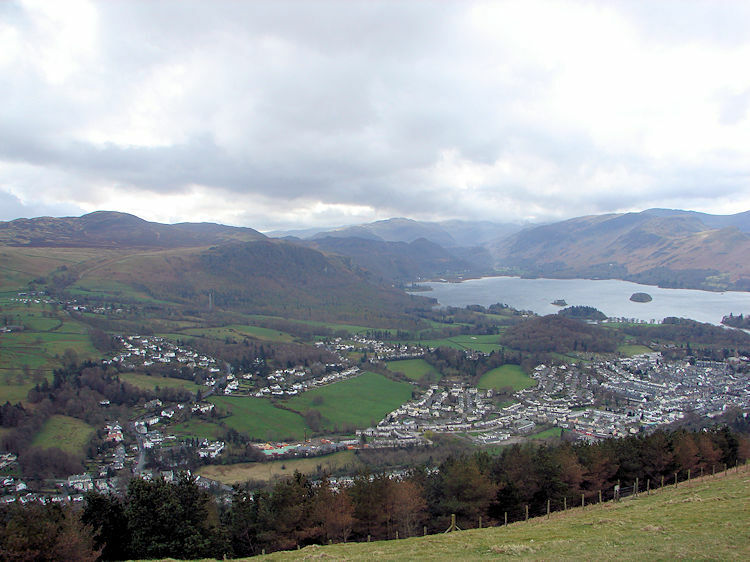 Of course it is the view to Keswick and Derwent Water which draws most eyes though, it is a super one. A view I also enjoyed was the one looking beyond Derwent Water to Binsey, one of the smaller Wainwright's but a grand hill. 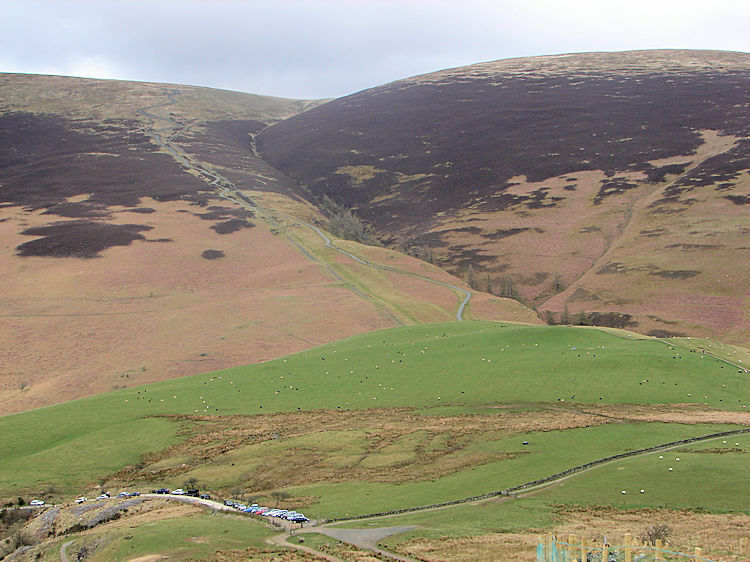 Today though I enjoyed this very short, very easy walk on to the summit of Latrigg.